When it comes to the Las Vegas shooting, how do you commemorate something horrible when your primary thrust is to market fun, fun, fun? That’s the conundrum now being faced by both the Las Vegas Convention and Visitors Authority (LVCVA) and MGM Resorts, parent company to Mandalay Bay where the tragedy occurred. 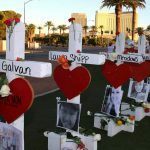 One thing is certain, anyway: a permanent Las Vegas memorial honoring the 58 victims who lost their lives on October 1, 2017 in the deadliest US mass shooting in modern history is likely years away before the commemorative structure is finalized. 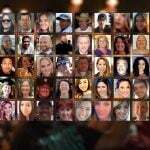 And that’s probably as it should be: those with experience in dealing with tragic events and grief healing are urging Las Vegas officials to proceed slowly in designing a memorial to the victims of the Route 91 Harvest Festival shooting. The LVCVA says when the time comes, it will do what it can to facilitate the memorial design and implementation. Authority spokesperson Jacqueline Peterson told Las Vegas Review-Journal columnist Richard Velotta this week that the agency’s mission of attracting conventions and growing tourism doesn’t exactly align with dedicating memorials, but nonetheless, the agency will make its resources available when the process begins. 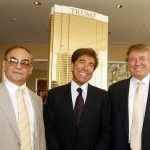 “If it would bring some sort of comfort and healing to those families, then I can’t see a downside to it,” the chairman stated. The Vistors Authority suspended all marketing efforts in the shooting’s aftermath, including its iconic “What Happens Here, Stays Here” slogan. But after four months of gross gaming revenue declines on the Strip, the agency got back to business in early 2018 by releasing a new TV spot, featuring a 19th-century time traveler who is transported to modern-day Las Vegas and likes what he sees. MGM Resorts also suspended its advertising after the shooting. It too, however, has since returned its marketing push with its “Welcome to the Show” campaign that explains the casino operator is “in the holy sh*t business.” That internet and TV spot was released originally just weeks before the shooting, and the “shock-and-awe” message couldn’t have met with worse timing. Now, six months later, MGM’s potential role in a memorial also remains murky. While Las Vegas Mayor Carolyn Goodman told the Las Vegas Review-Journal’s Rachel Crosby that she believes the Route 91 Harvest site is where an ultimate memorial should be placed, the gaming operator is being coy about any potential involvement with the project, which obviously collides with its mission of presenting Vegas and its properties as a carefree getaway. Knowlton, who cofounded the Columbine Memorial Foundation in June 1999, just two months after the school shooting in which 13 people lost their lives, said the nonprofit’s first presentation to victims’ families was a failure. She said three presentations, designed with the assistance of a local landscaping firm, were proposed just months after that April tragedy. The permanent Columbine memorial wasn’t dedicated until more than eight years later, in 2007. Tens of millions of dollars have been raised for the families of Las Vegas shooting victims and survivors, although disbursement has been slow and underwhelming for many. 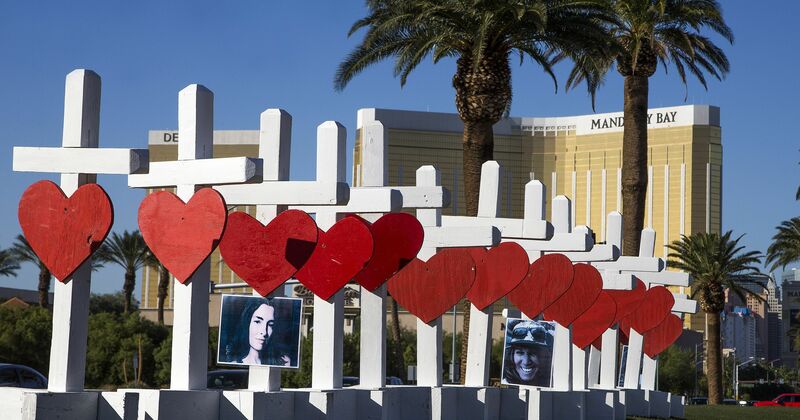 In the years ahead, more philanthropy will be needed to construct the Las Vegas memorial, whatever form it may ultimately take. To put the potential costs for a Las Vegas shrine in perspective, the Columbine Memorial, a landscaped area just over an acre in size, cost $2.2 million to construct. And an additional $10,000 to $15,000 per year is needed to cover upkeep costs. The Sandy Hook Permanent Memorial Commission is still finalizing its plans to honor the 27 victims who lost their lives in 2012. The planning committee has narrowed 188 concept submissions down to five, and says there is no maximum budget for the project. Memorials are also in the works for victims of the 2012 Aurora movie shooting and 2016 Pulse nightclub massacre in Orlando. 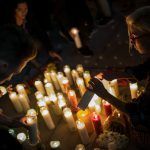 Las Vegas Shooting Victims Restitution Payments Starting to Go Out, But Will It Be Enough for Survivors and Orphans?